A Twitter user known only as Katie has sparked outrage after using the social media platform to share a letter she allegedly sent to John Lewis, complaining the retailer featured a black family in its Christmas ad for this year. The comments angered black pop singer Jamelia among other personalities, who outed the woman for being “racist” and not a good Christian. The woman’s complaint, which she copied into a tweet, read: “I have to say your ‘Christmas’ ad is wrong in so many ways. “The music is miserable, by a black singer & you show a black family. “We white Brits are STILL the majority in the UK, it seems you want no mention of our traditions of Christmas or music etc. 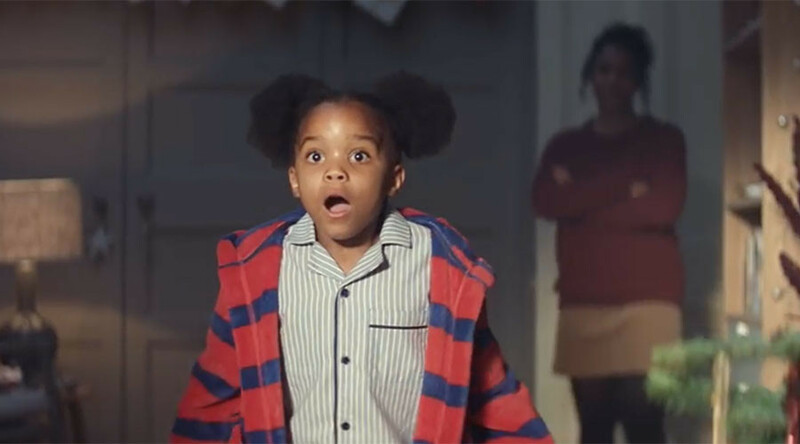 The John Lewis Christmas ad, which debuted in early November, showed a black family whose daughter loves to jump around and gets given a trampoline for Christmas. The first to enjoy the gift however are a series of wild animals, including two foxes and a badger, as well as her pet dog, Buster The Boxer. The featured song is a cover of African-American jazz singer Randy Crawford’s ‘One Day I’ll Fly Away’ by English band Vaults. Katie’s comments were seen by some as a reflection of the current political environment in Britain, with hate crimes soaring by 41 percent in July, shortly after the Brexit vote. Other public figures pointed out the hypocrisy in Katie’s words, as she is listed on her Twitter page as living abroad. “A British migrant in France makes racist complaint about how the birth of a Middle Eastern man is celebrated,” journalist and author Owen Jones said. Katie, who also uses her Twitter account to share Islamophobic comments and praise the former well-known xenophobic MP Enoch Powell, defended herself from criticism, saying she “didn’t care” about Jesus’ ethnicity. “Many of you miss the point. ie, the majority in the UK are white, we are a white race, it is our culture. It's not about black!” she added. John Lewis is yet to reply to RT’s request for comment on the row.